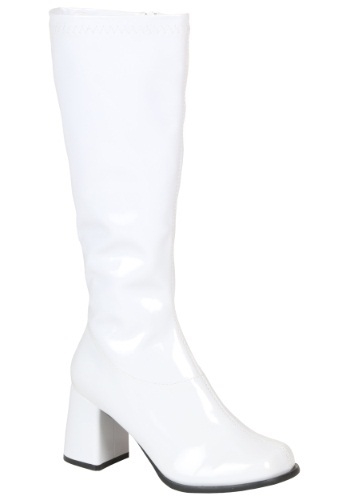 Complete your 70s disco costume with these womens wide calf disco boots. White vinyl covers the entire boot and heel with matching white stitching. The sole of the shoe is black and has a textured tread. A white zipper on the inside of the shoe blends well and is discreetly placed. The calf features a wide width and is perfect with our plus size costumes!